More often than not, I focus my blog posts on young adult literature. It’s what I love most. But, a close second as far as amazing books go, are children’s picture books. I have a three-year-old who LOVES books, so we spend a lot of time in the Borders Kids section and at our public library. Plus, I’m a former elementary school teacher. I used to love using picture books as part of my curriculum, even when I taught fifth graders who pretended to be too old to be read aloud to. Over the years, I’ve adopted some favorites picture books. There are the classics, Goodnight Moon, The Very Hungry Caterpillar, anything Dr. Seuss, Corduroy, the Frances books and Blueberries for Sal. That being said, my very favorite kids’ books to read aloud all happen to rhyme. There’s something about the rhythm and the sing-song quality they take on that makes picture books in verse hard to pass up. So, for today’s Friday Five I’m sharing some of the best. 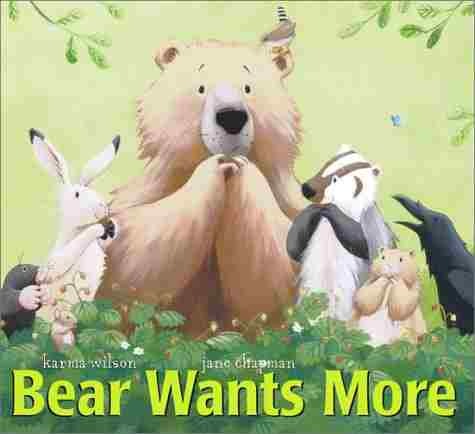 One) Bear Wants More, by Karma Wilson, illustrated by Jane Chapman – The story of a bear who wakes up from winter hibernation, and his forest friends who attempt to satisfy his HUGE hunger. 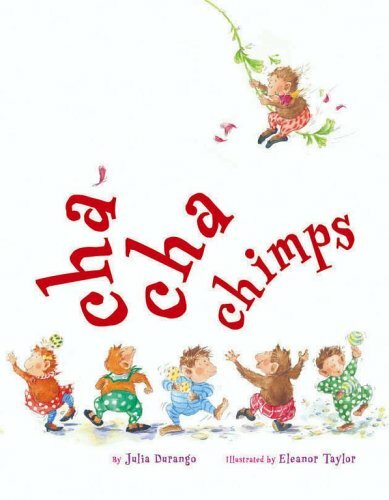 Two) Cha Cha Chimps, by Julia Durango, Illustrated by Eleanor Taylor – Ten little chimps head out to the neighborhood dance hall for a night of counting and fun, until their mama comes looking for them. 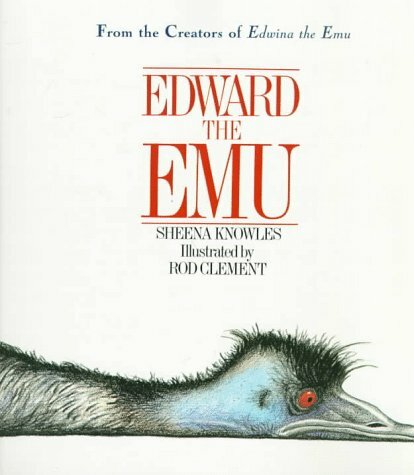 Three) Edward the Emu, by Sheena Knowles, illustrated by Rod Clement – The tale of a lonely emu who searches the zoo for true love. Four) Is Your Mama a Llama? 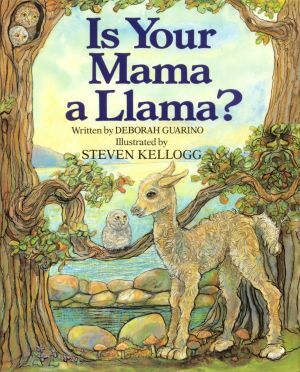 by Deborah Guarino, illustrated by Steven Kellogg – A little llama explores nature and meets lots of different animals, hoping to find his mother. 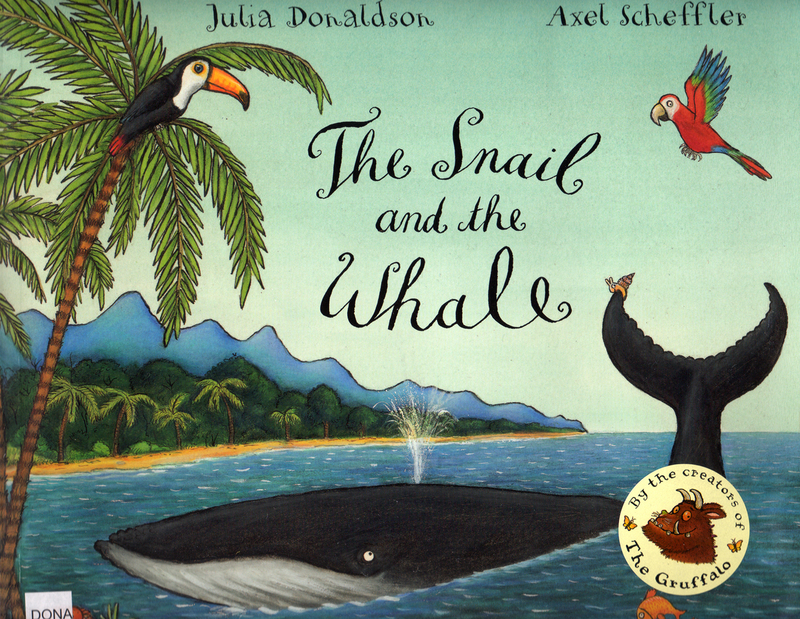 Five) The Snail and the Whale, by Julia Donaldson, illustrated by Axel Scheffler – A snail with an itchy foot hitches a ride with a whale who roams the sea. They forge an unlikely friendship while the little snail learns how big he can be. What about you? What are your favorite picture books? Are there any you’re happy to read to your child(ren) over and over again? I have only heard of one of these, and I have a 3 and 5 year old. We read all the time, but there are so many books out there… thanks for putting some new ones on the radar. the emu book illustrations look so fantastic. Yes, Edward the Emu has gorgeous illustrations. The Snail and the Whale is my all-time favorite. I highly recommend it! Aw, Edward the Emu, I love that book! It doesn’t rhyme, but I highly recommend Diary of a Wombat, by Jackie French. It’s hilarious and the illustrations are just gorgeous. Continuing the Aussie animals theme, one of the all time great Australian classic PBs is Possum Magic, by Mem Fox. Glorious illustrations and a fantastic story. Ooh, thanks for the recs! They all sound fun. My daughter is a big fan of kangaroos and koalas, so it’ll be fun to introduce her to some new Aussie animals.